What does record auto-assignment do? Understanding record auto-assignment and how it can enable workflow control. 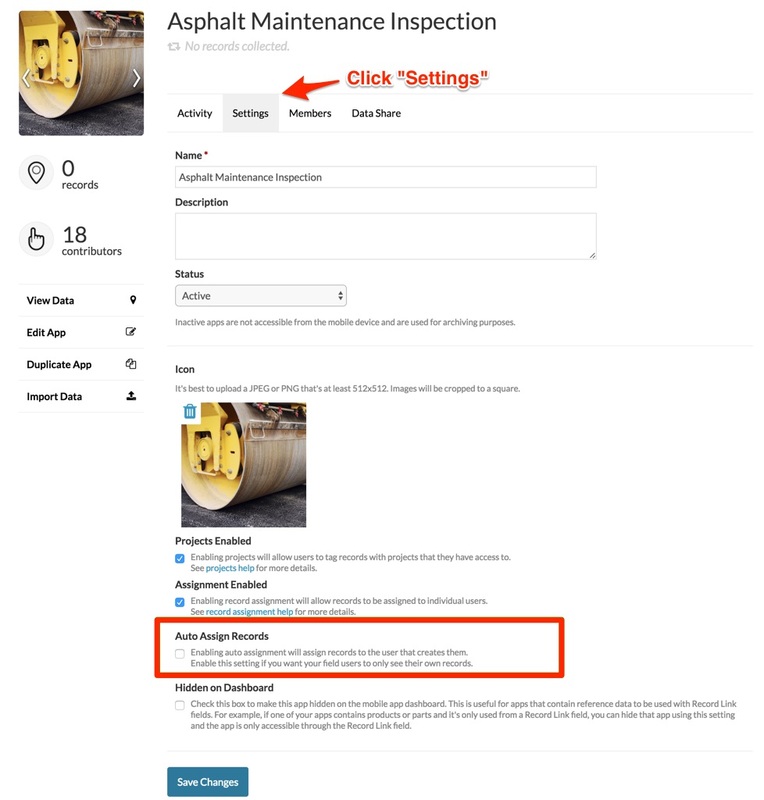 If you’re using Fulcrum’s record assignment capability to task specific users with specific activities or to manage data visibility, you can take that a step further with the record auto-assignment feature. When enabled records will automatically be assigned to the user account that creates the record. This allows you to have functionality that will only allow each standard user or a custom role (see note below) to see the records that they created records. Managers (that have access to the app) and owners or custom roles (see note below) will also be able to see these records. Then click the check box below auto assign records. Note: If using custom roles, the Assign Records permission is what will allow a user with that role to see all of the records within the app, bypassing the assignment (like an admin or data manager).